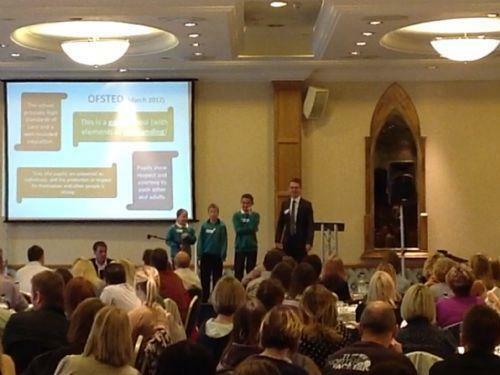 On Monday 11th June, 3 members of the Learning Council were invited to a 2%er conference at Alton Towers to give a presentation about what we have done as a school to make it more BRILLIANT! The audience of over 300 were incredibly welcoming and positive about what we have done. With help from the rest of the school through a video of what we have done, Jack Reading, Rhia Green and Thomas Whitehouse did an amazing job at explaining what we have done. The Sausage Machine, 2%er boy, our Citizenship Passports and the Chicks of Happiness all made an appearance. We have done amazing things this year, all thanks to support from Andy Cope who works with schools and companies to improve their brilliance. With the conference taking place at Alton Towers, we had absolutely no chance to spend the afternoon in the park and go and at least 3 rides. 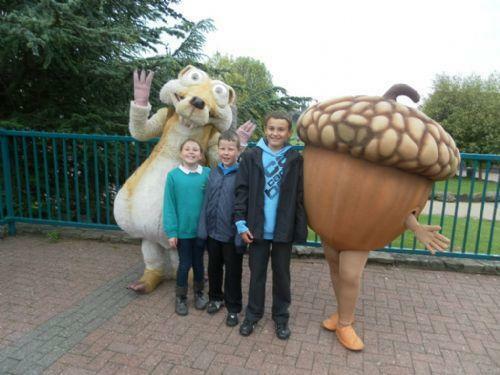 We didn't get chance to meet characters from Ice Age at all!